Dentures might seem like a scary thing, but they do not have to be. 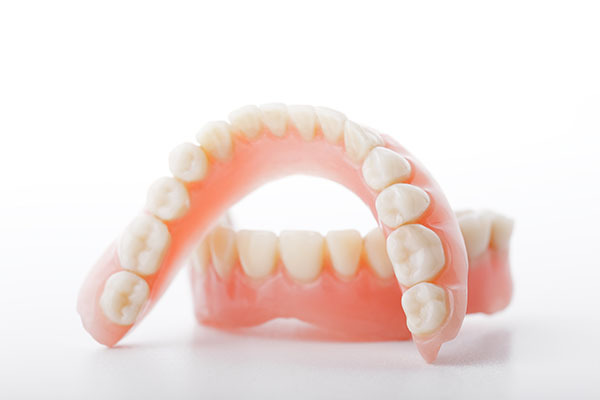 Many people with missing teeth are not sure whether to get dentures or not. Dentures can be quite expensive if you do not have dental insurance coverage or if you have financial challenges. Although dentures can be expensive, they are necessary for people who have lost teeth because of aging, genetics and accidents, among other reasons. Fortunately, dentures can last up to 15 years, so you can look at them as a lasting investment. If you are wondering whether to have partial or complete dentures, you should visit a reliable Calgary denturist who will help you understand the many benefits of this dental procedure. Getting complete dentures will greatly boost your confidence. Several people who have missing teeth feel embarrassed to smile and interact with other people. It is even worse for people who have lost most of their teeth. While it might seem unimportant at first, not smiling can cause misunderstandings, weakened personal relationships and missed social opportunities. People might feel offended every time you do not return a smile. Complete and partial dentures can help you regain your smile and beauty. You will feel better about yourself when you can give back a radiant, beautiful smile. Besides improving your smile, dentures also improve the general aesthetics of your entire face. A full set of teeth gives the jaw, cheeks, and chin a proper shape, which lifts the skin and makes you look better and younger. If you have many missing teeth, your mouth area might appear saggy and undefined. Dentures can help improve your entire face. With missing teeth, it might be difficult to chew. Improper chewing can be risky and could lead to poor digestion or choking. Some people may even start to avoid their preferred foods because they lack the chewing power they once had. Dentures allow you to chew food properly and eat normally. With dentures, you can continue enjoying your favourite foods. No more pureed meats and mashed potato! Tooth loss can greatly affect your speech. If you have missing teeth, you might not be able to pronounce some words. You need your teeth to make sounds correctly and speak clearly. Partial and complete dentures can improve your pronunciation, making speaking easier for you and others around you. Good speaking will increase your self-esteem, improve communication in relationships and reduce frustrations in general. There are many benefits of partial and complete dentures. However, you have to choose a good Calgary denturist to enjoy these benefits. Ensure that the denturist you choose is experienced. Specialists who have been offering denture services for many years should be preferred. You should also choose a friendly denturist. Tooth loss can be frustrating, and some patients might be angry because of this. A good Calgary denturist is friendly, and he or she knows how to make patients feel comfortable. Finally, ensure that your denturist is reputable. You will trust this expert with your smile, so choose someone with a good reputation. Why Should You See A Prosthodontist in Victoria, BC?